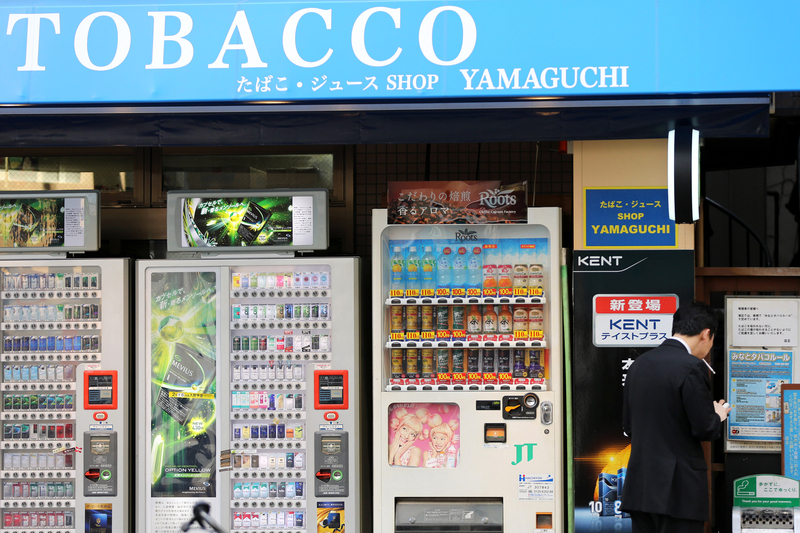 At the end of May, Suntory Beverage & Food Ltd. announced it would buy Japan Tobacco Inc.’s drinks vending machine subsidiary in July. 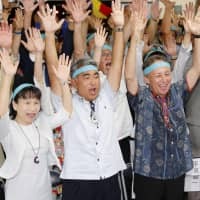 At a news conference to explain the deal, Suntory President Nobuhiro Torii said the purchase would help his company achieve its goal of becoming the biggest-selling beverage maker in Japan. The acquisition would add 266,000 vending machines to Suntory’s existing 490,000, thus bringing it closer to Coca-Cola (Japan) Co., the No. 1 company with 980,000 vending machines. According to the Japan Vending Machine Manufacturers Association, there are 2.5 million of the devices operating in Japan, most of which sell soft drinks. Vending machines are considered the most effective means of selling soft drinks in Japan, which is why Suntory is so determined to increase its penetration. 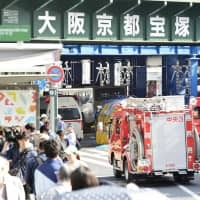 The problem is that, as with any sales distribution network, the effectiveness of vending machines is all about location, and almost all the good locations in Japan were taken years ago. JT’s machines will provide Suntory with choice locations without having to go out and find new ones. So even though Suntory is reportedly paying ¥150 billion to JT for its machines, Torii thinks his company can save several billion yen a year in vending-machine placement and location research expenses. The actual value of the machines Suntory is buying is estimated to be about half the price it is paying to JT. In addition to the devices and the locations, Suntory also gains JT’s superior product supply network for soft drinks and its established “full-service line” of products. 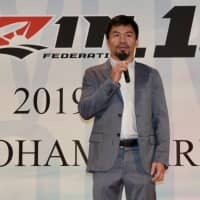 JT sells not only its own beverages in its vending machines, but also popular brands from other manufacturers, and apparently Suntory is not going to change that. Rather than replace the products in JT’s machines with its own, Suntory is also acquiring two beverage brands: the Roots canned coffee line, and the Momo no Tennensui bottled water line, which are quite popular. Suntory has said it will start re-marketing the two brands later this year with “added value.” The strategy seems to be especially important for Roots, whose dedicated fans are considered “different” from those who regularly buy Suntory’s canned coffee brand, Boss. Rather than try and make Roots drinkers switch to Boss, Suntory is simply acquiring those fans. The canned coffee market in Japan was worth about ¥739 billion in 2013, and though it’s shrinking, it is still considered a huge money maker, especially when the product is sold through vending machines, where costs are fixed and profit margins higher than they are with other retail networks. 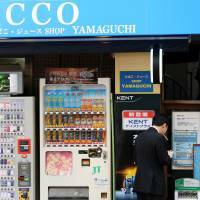 In the past several years, convenience stores have started selling fresh coffee, and a cup is usually cheaper than canned coffee, which normally costs at least ¥130 for 190 ml, so canned coffee sales in convenience stores are dropping while those from vending machines aren’t. Coca-Cola Japan’s Georgia line of canned coffee is still the No. 1 seller, which is interesting considering the company had a hard time initially selling the idea of canned coffee to its parent company back in Atlanta (hence the name). Back in the ’70s, one of Coca-Cola Japan’s regional distributors came out with one of the first canned coffees, Max, and when it tried to expand the brand, Coca-Cola in America wouldn’t subsidize it because it couldn’t understand the concept of coffee in a can. But when Max took off, the parent gave in and Georgia was born, as well as the whole canned coffee culture in Japan. Boss, which Suntory launched in 1992, is now the second-biggest-selling line, and the company has invested a lot in trying to overtake Coca-Cola. In 2000, Boss sales were about a third of Georgia’s. Now they’re about two-thirds. The beverage industry research company Inryo Soken says that Coca-Cola Japan has a 27.6 percent share of the overall soft drink market, with Suntory at 20.5 percent and Asahi Soft Drinks Co. at 12.9 percent. Last year, Suntory reported ¥1.26 trillion in sales and says it is aiming to increase that figure to ¥20 trillion by 2020. If Suntory is going to achieve that number it will presumably have to get more of its products into vending machines, whether they are owned by Suntory or not. That means negotiating with independent distributors who fill vending machines for people who place them on their property to make money, or finding more places to install their own machines, which now means going indoors. Building management companies are the main target of vending machine distributors and beverage companies. For individuals and firms with choice locations, vending machines require no startup money. The distributor or maker provides the machines and services them. Usually the property owner only has to pay for the electricity, and earns a cut of the profits, which can be as much as ¥50,000 a month per machine depending on demand. In order to make vending machines more attractive to property owners, distributors and makers have gotten vending machine manufacturers to make them more energy-efficient and compact.